Good Shabbos! RSVPs needed for Installation Weekend! Unwind from your hectic week at this experimental, participatory and communal service with traditional liturgy. For the full experience, please join us first for the Pre-neg. Food drive is still here until the end of October! Bring in your canned/dry foods! ​​​​​​​RISC will be studying the following 3 issues in the coming year. At this meeting, the following topics will be outlined and discussed. Opportunities will be available to sign up for a committee. 2. Housing for the disadvantaged. 3. Local transportation issues for people who depend on public transportation. 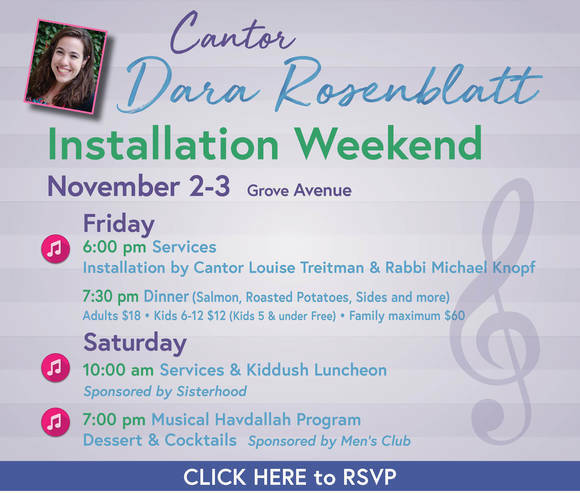 Installation Weekend for Cantor Dara Rosenblatt: Nov. 2-3. RSVPs requested; Click here. Evening with Nurit Gery: Tuesday, November 13 7:30pm-9:00pm at the home of Rabbi Knopf. Join us for a special session from the director of Givat Haviva International School in Israel. This school and speaker were a highlight during the congregational trip to Israel in June of 2018. Free session, space is limited to 20 people. 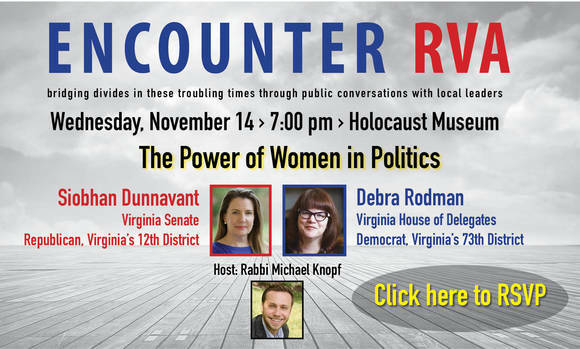 Please RSVP by clicking on the title.